A visit to Orsola Mainardis’ showroom is a real hidden treasure in Venice. Located in the Dorsoduro district, away from the mass, Orsola welcomes you at her atelier in a sophisticated Venetian home, full of details and with a beautiful, unexpected, walled garden. While enjoying a welcome drink, Orsola explains how her passion was born, how her jewels are made and where her inspiration comes from. All the jewelry that Orsola creates are unique and one of a kind pieces, made with love and patience by expert hands. The experience led her to combine traditional and modern working methods experimenting with unusual combinations of materials creating besides necklaces, earrings and bracelets, also beautiful handbags, diaries and handmade sandals embellished with pearls and precious fabrics. Orsola’s creations are synonymous to extrovert luxury but in a relaxed way. 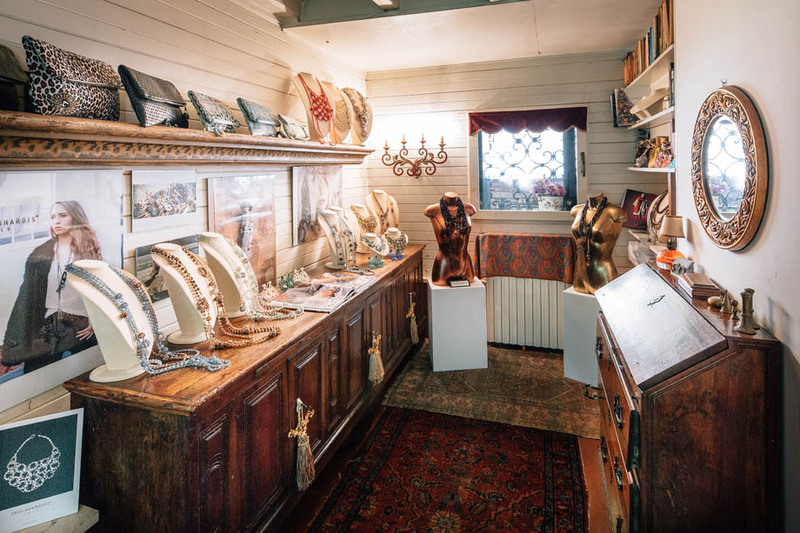 A visit to Orsola Mainardis’ showroom is really a visit to a small art exhibition in a Venetian house, an elegant and very suggestive experience.